Kristy Komadina My ideal maternity dress would take me through pregnancy and breastfeeding. It would need to look smart enough to wear to work and could be worn summer or winter by adding long sleeves underneath or a cardigan on top. I am proposing an above the knee length tunic style dress in black, grey and navy pinstripe variations... made from a wrinkle free stretchy but solid fabric. It would have a bust panel that could be lifted to allow breastfeeding. It could be worn belted or on its own. It could be dressed up with heels or knee length boots or dressed down with ballet flats. What I am after is one dress that can do it all. Basic and simple in appearance so that I am free to accessorise it for any occasion. Inga Tomkins My ideal maternity dress would see me from pregnancy right through to breastfeeding. It would be sleeveless to wear through summer and with layers underneath in winter. It would be stretchy, not require ironing (who's got time for that! ), be made of a natural fibre and dry really quickly when washed. It would be in ...a colour that you could get away with wearing regulalry without notice. I would also be mid length, short enough to look good with winter boots in winter and casual enough with thongs in summer. Freda Zapsalis I would love a maternity dress with more BOLD colours and prints shifting from the standard black and grey. 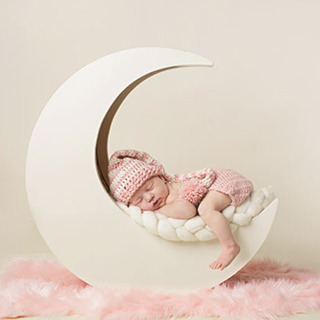 This would excentuate the bump. With those prints you could design a 1960s style fitted dress to the knee with collar and buttons running from top to bottom with a high waisted belt. Sleeves would be up to the el...bow (full sleeves or sleeveless could also be available depending on material and season). Matching hair band included. 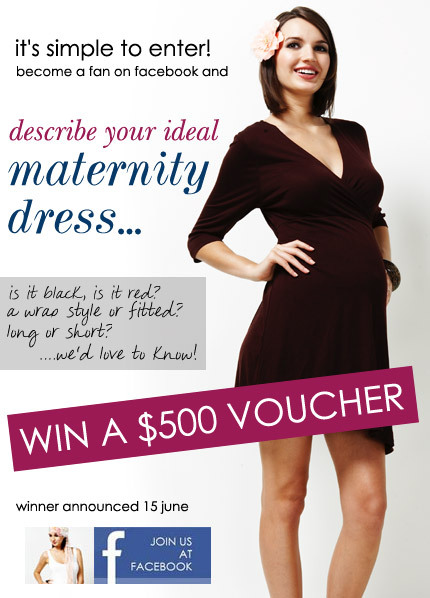 Jade Cannard My ideal maternity dress would be red. It would need to have a long flowing skirt kind of like a maxi dress but there needs to be room for belly growth. The top half would need to be able to hide the bra but still give a flattering look to the bust. It would be great if the skirt came up under the bust above the belly ...but it would still be suitable to wear after you have given birth. Needs to be suitable for a lazy day and a night out with your hubby. Kathrynn Ackland oh this is perfect for me, I need a maternity dress for a wedding and am struggling!!! I still need it to be modern!!!! I would love a one shoulder, with a couple of ruffles that flow from the strap through to the other side! Definatley knee length for me but could have an option for a full length. Gathers in under the... bust and then flows, attempting to give a little shape. Fabric - something with a little bit of a shine to it, Colours - Silver, Metalic Blue and Black of course!